Awhile back a co-worker recommended Tasty on Facebook. They do have some interesting recipes and one of the ones I saw was one for a Chicken Buffalo ring. All the recipes involve using prepared things like crescent rolls, cake mix, and so on. That makes putting things together pretty quick. 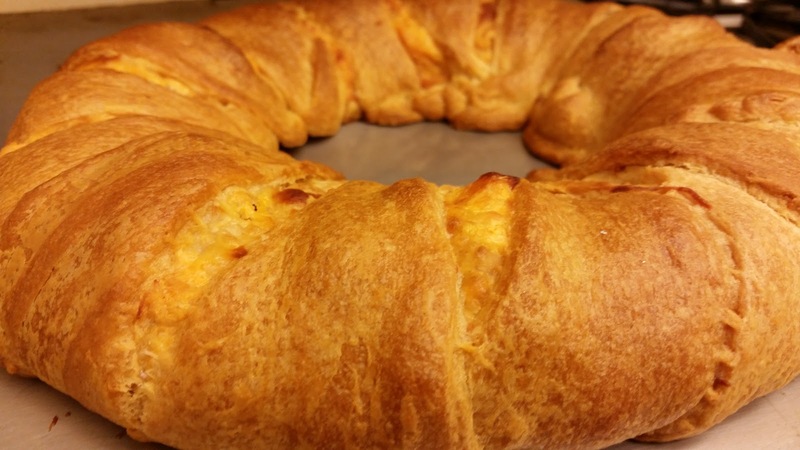 So this evening I put together the Turkey Buffalo Ring (which is just a ring of crescent rolls with hot sauce, cheese, turkey and cream cheese). I prepared our second Thanksgiving on Sunday, so there was plenty of turkey leftover to make something else with. Hooray for a quick meal to make for the week!